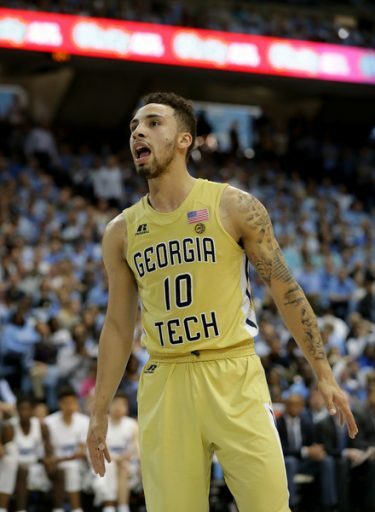 Discussion in 'Georgia Tech Basketball' started by RamblinRed, Nov 2, 2018. GTNavyNuke, SoCal_GT_Fan, ibeattetris and 8 others like this. Note that the game is available on ACC Network Extra. So if you have Watch ESPN you should be able to see the game. You meant Florida Tech for the exhibition game. Lamar is next week. THWG, jbix80, ramblinjacket and 1 other person like this. That’s what I thought. Confused me for a moment. Fun fact: Florida Technological University (FTU) was the previous name of what is now UCF. Are you doing an article and putting it on Twitter? Gameday! Super excited. College GameDay on now, then Tech/UNC and then biking over to McCamish around 5. OldJacketFan and MikeJackets1967 like this. Can you tailgate off a bicycle? AUFC and Peacone36 like this. Anybody going to "Chat" for the game? It may not work well since everybody's stream will probably be different, but who knows? Jose, Shembari, Haywood, Cole, and Gueye as starters. Watching replay now. Game just started but noticing the court lettering is green. I’m really not a uniform or colors guy but hoping it’s just my tv. msargent1, Silk3 and Peacone36 like this. It's our gold. The floor colors distort perspective. Can’t fix. Throwing tv away. gtg391z, Peacone36 and kg01 like this. Initial thoughts: CJP isn't lying when he says "when Jose isn't on the floor, we look lost." Watching the offense run and cut with Jose on the floor looks like a perfectly choreographed ballet. When Brandon Alston is leading the floor, guys were practically running into each other. Thought Brandon had a better second half than his first half. Drove the lane a bit and made an open 3 off a drive-and-kick in the second half. Thought Jose looked good as did AD. Didn't see anything from CGB that makes me think he's gonna be a super impactful player this year. Evan Cole looked scrappy, willing to fight for any rebound and putback just like in the Duke game last season. Sjolund nailed a couple 3s in the first half and then bricked everything in the second half. Team shot really well from 3 overall, think it was like 40% and it wasn't a small amount of 3s either. Excited to see them when it counts next week against Lamar! Edit: Evan had a double-double so shows how well my live impressions count. Techster, GTHomer, jbix80 and 1 other person like this.